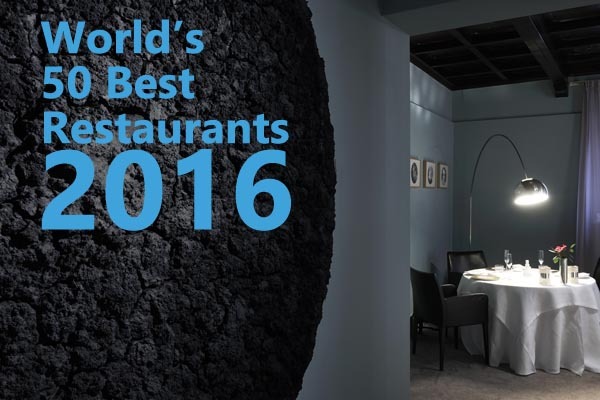 The 2016 edition of the "World's 50 Best Restaurants," presented by S. Pellegrino and Acqua Panna, was released on June 13th. The selection process lasts an entire year, with restaurant industry insiders weighing in based on several criteria. Forty-two of the 50 winners were included in last year’s list. Of the eight new additions, two returned to the list after missing out on the 2015 list. The highest placing new entrant came in at #26. All 50 restaurants are listed on Xploritall. As a free member, you can add them to your travel wishlist. If you are lucky enough to have dined at one of these establishments, you can mark that you've visited and earn the "50 Best Restaurants" badge. The 2015 list can be found here.